Certainly, we are all entitled to express our religious beliefs about any particular topic. However, wisdom and discernment should be used when expressing our views, so as not to become overbearing and cause undue strife and contention among others. There are situations in life where we will not agree with certain things that are said or done, but we must exercise a certain amount of tolerance and learn how to respond with love. It was Aleksandr Isayevich Solzhenitsyn, a Russian novelist, historian, and short story writer, who was quoted as saying, “It’s a universal law– intolerance is the first sign of an inadequate education. 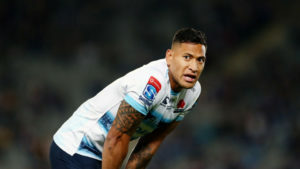 An ill-educated person behaves with arrogant impatience, whereas truly profound education breeds humility.” Perhaps these are lessons that Israel Folau will do well to learn to avoid any more upsets like the one that recently got him terminated from Rugby Australia. 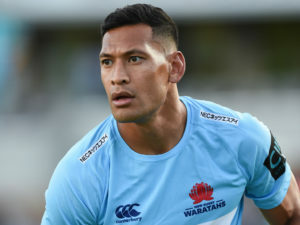 Israel Folau (Tongan: Isileli Folau) was born 3 April 1989 and raised as a member of The Church of Jesus Christ of Latter-day Saints (often mistakenly referred to as “The Mormon Church”). 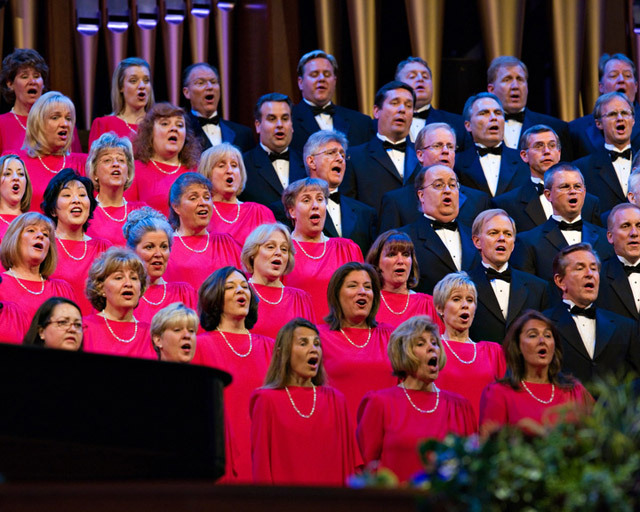 He left the LDS Church and converted to Assemblies of God several years ago. Israel is an Australian professional rugby player who played for the New South Wales Waratahs in the Super Rugby. Previously he played professional rugby league and Australian rules football. From 2007 to 2008, he played rugby league for the Melbourne Storm in the National Rugby League (NRL), where he broke the record for most tries in a debut year. From 2009 to 2010, he played with the Brisbane Broncos. Playing as a wing or centre, he represented Queensland in the State of Origin and Australia, becoming the youngest player to play for both teams. In 2011, Israel joined the Greater Western Sydney Giants in the Australian Football League (AFL) and played for two seasons. In December 2012, he announced he was to switch codes again, this time for rugby union, and signed a one-year contract with the Waratahs. In 2013, he made his international debut for Australia against the British & Irish Lions. 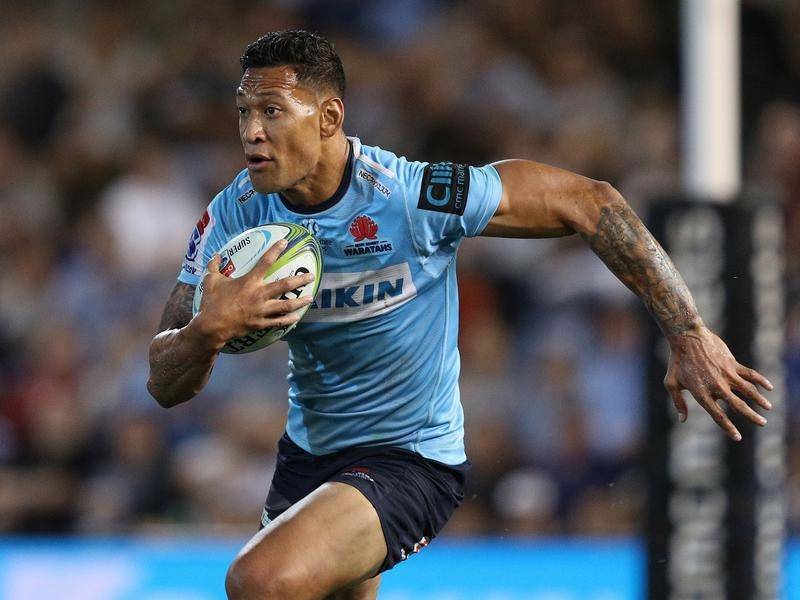 And in October 2010, in a suburb of Goodna, Ipswich, Queensland where he played junior rugby league, “Israel Folau Street” was named in his honor. After recently making tactless, inflammatory posts on social media in which he boldly condemned drunks, homosexuals, adulterers, liars, fornicators, thieves, atheists, and idolators to hell, Rugby Australia sacked him. They stated, “Whilst Israel is entitled to his religious beliefs, the way in which he has expressed these beliefs is inconsistent with the values of the sport.” Israel is being accused of vile homophobic attitudes. This all stemmed from a new law passed by the state of Tasmania on Wednesday, 10 April 2019. The law makes gender optional on birth certificates and allows 16-year-olds to change gender without parental consent. In response, Israel, with his 121,000 followers on Twitter and 315,000 followers on Instagram, commented on Twitter beneath a screen grab of developments in Tasmania: “The devil has blinded so many people in this world, REPENT and turn away from your evil ways. Turn to Jesus Christ who will set you free.” That was followed by the aforementioned Instagram post. Although Israel is correct in recognizing and calling sin for what it is, perhaps the article on mercatornet.com says it best, “Folau is not a theologian and he doesn’t express himself with the precision that this sensitive issue requires.” That is the real root of the problem. Israel is seeking perfection from mortals who are imperfect, including himself. As Latter-day Saints, we believe in repentance and forgiveness. We are taught, “For all have sinned, and come short of the glory of God; being justified freely by his grace through the redemption that is in Christ Jesus: whom God hath set forth to be a propitiation through faith in his blood, to declare his righteousness for the remission of sins that are past, through the forbearance of God; to declare, I say, at this time his righteousness: that he might be just, and the justifier of him which believeth in Jesus” (Romans 3:23-26). We are further taught, “Judge not, that ye be not judged. For with what judgment ye judge, ye shall be judged: and with what measure ye mete, it shall be measured to you again. And why beholdest thou the mote that is in thy brother’s eye, but considerest not the beam that is in thine own eye?” (Matthew 7:1-3). We do not condemn people to hell because of their sins and transgressions. We continue to love people in spite of their shortcomings and do all that we can to help them in any way that we can. If our sole or primary focus in becoming a disciple of Jesus Christ is to LIVE perfectly, to observe every performance and commandment perfectly, we are likely to discover that we turn inward. Our focus is on ourselves, on what and how we are doing . . . .
“However, if our primary focus and object in life are to LOVE perfectly, then we may discover all the Savior was striving to teach us about contrite and ultimately changed hearts. . . .
“When we seek to LOVE perfectly, our focus is outward. We strive to learn what it is that God loves about each one of His children. . . .
Star National Rugby League Player For The Storm Puts Career on Hold to Serve Mission Rugby Star Jonah Lomu Becomes Mormon New Zealand High School Rugby Player to Play in Tournament in South Africa Motab Has a New Video Jabari Parker: Future BYU Student?